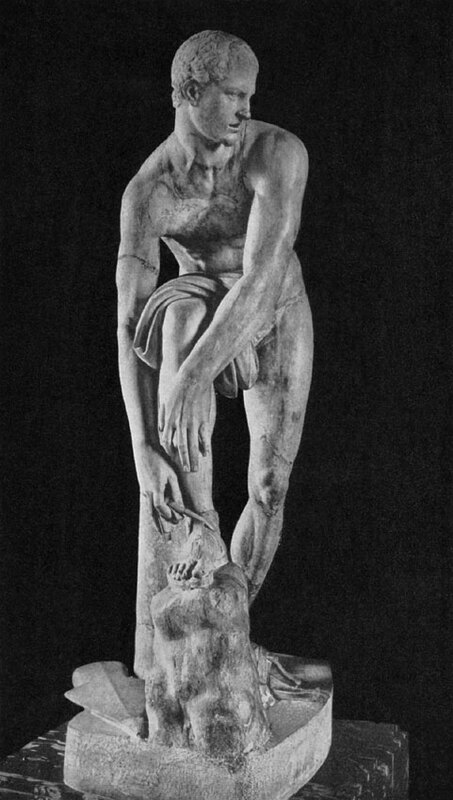 Hermes tying his sandal, so-called “Iason”. Marble. Roman copy after a Greek original by Lysippos of the 4th century BCE. Photo, text: O. F. Waldhauer. LISIPP. RSFSR. Gosudarstvennoe izdatel’stvo, Berlin, 1923, ill. 13. Photo from Brunn. Denkm. griech.-röm. Sculpt.